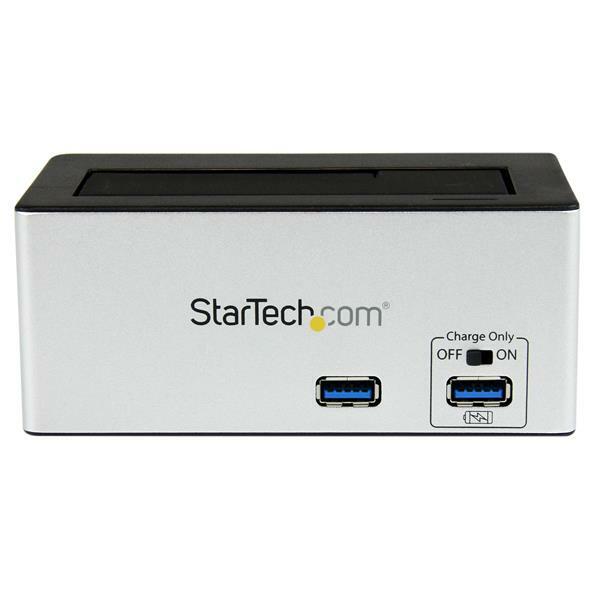 The SDOCKU33HB USB 3.0 hard drive dock with Fast Charge USB hub lets you easily connect and swap 2.5in or 3.5in SATA III hard drives (HDD) and solid state drives (SSD) through an available USB port. 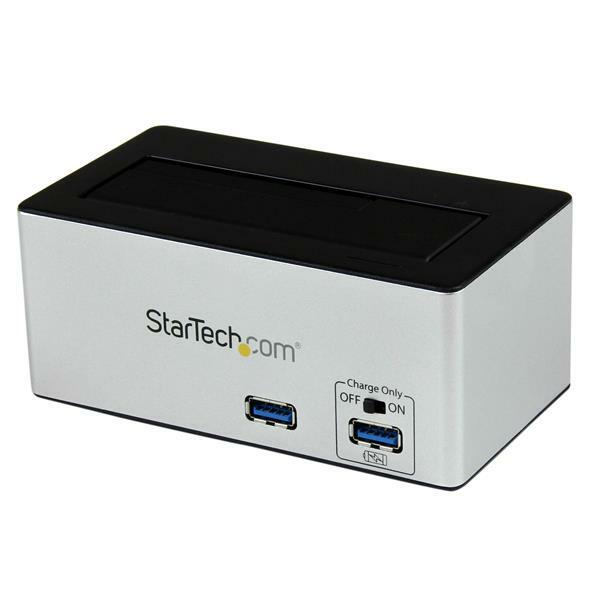 The enclosure supports UASP and delivers optimal performance with a USB 3.0 connection, but is also backward compatible with USB 2.0/1.1 host connections. 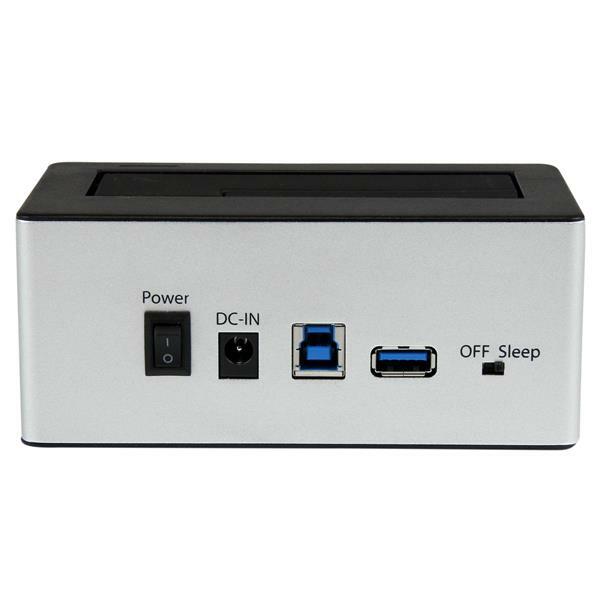 The Hard Drive Dock features a built-in 3-port USB 3.0 Hub that enables you to connect up to 3 additional USB 3.0 devices to your computer through the same USB connection. One of the ports on the hub also has Fast Charging capabilities, that charges iPad’s and other mobile devices as effectively as through a wall plug. This Fast Charge Port has been specially designed for compatibility with a wide range of tablets and smartphones. Enhanced with UASP, the dock supports up to 70% faster performance than conventional USB 3.0 when paired with a UASP-enabled host controller. 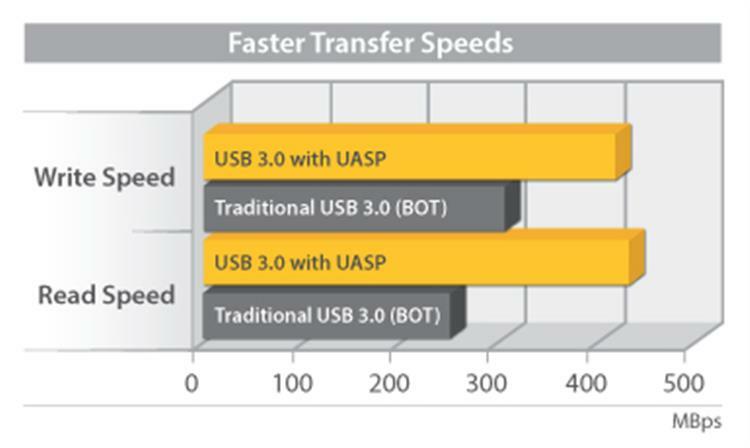 Using a more efficient protocol than the traditional USB BOT (Bulk-Only Transport), UASP reduces latency, significantly increasing transfer speeds to utilize the full potential of your SATA III hard drives. See our UASP testing results below for further details. With support for SATA I/II/III, large capacity drives (tested up to 4TB), and 2.5in or 3.5in hard drives this HDD/SSD docking station is compatible with virtually any SATA hard drive, and greatly increases the storage/backup capabilities of your computer. Plus, configurable power management reduces energy consumption, and extends the life of your drives by avoiding unnecessary access. To ensure compatibility with your computer system, the SDOCKU33HB supports all of the leading operating systems, including: Microsoft Windows® (8/7/Vista/XP/Server 2008/Server 2003), Apple® OSX (10.9/10.8/10.7/10.6), Linux, and Google Chrome OS™. 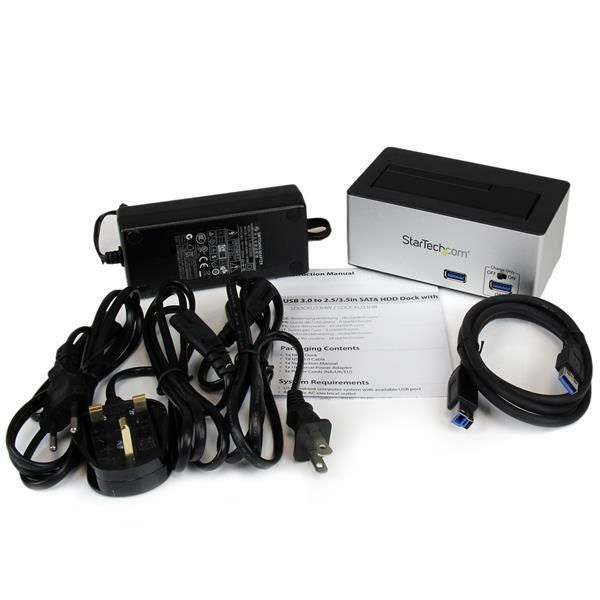 The SDOCKU33HB is backed by a 2-year StarTech.com warranty and free lifetime technical support.